Daniel Fry talks at the 1989 Mufon convention including an answer period. 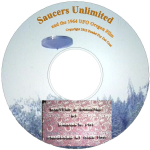 This is two short segments of film, the first is footage shot for NICE Inc. called Flying Saucers Unlimited and the second is rare 1964 Oregon footage of fake saucers. Ken DeMary interviews Daniel Fry at some point in the 1990s. 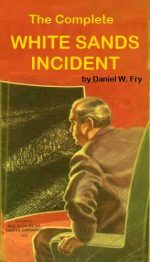 For the first time ever, all of Daniel Fry’s story in one easy place to read it! 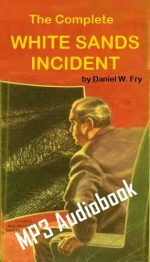 For the first time ever, all of Daniel Fry’s story in one easy place to listen to it!